The centre operates with a great deal of flexibility encouraging child-initiated play and learning. We also acknowledge the importance of a simple routine for children and understand that they feel secure when they know what is coming next. The centre provides a specialised toddler room that caters for only 5 children in a nurturing environment. 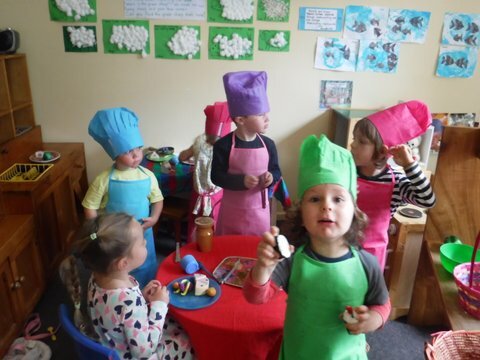 We also have a preschool room which provides a wide range of planned activities and a transition to school program. develop, challenge and strengthen their skills. The program provides a learning environment that encourages children to discover, create, imagine, construct and initiate. An opportunity to develop self help skills, interpersonal skills, problem solving, build self-confidence and esteem are encouraged. 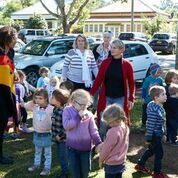 We provide a balance of indoor and outdoor, active and passive, individual, small and large group activities that include experiences across the curriculum field such as language, literacy, creative expression, gardening, bush walks, construction, science, maths, drama, music and movement. The Early Years Learning Framework forms the foundation for the program and teaching practices. Our trained, experienced staff are knowledgeable about early childhood theories and perspective that best support children’s learning and continually enrich their understandings through resource books and professional development training. The program is displayed on our notice board. Feel free to chat to staff for more information about any of the planned experiences. Significant experiences of each day are seen through photos displayed on the laptop which is on the sign in desk each afternoon.